August 15, 2010 at Thai-Nichi Institute of Technology, Pattanakarn Rd. Live Internet Broadcast (sensor board): Live broadcast (on the Internet) of the 1st Board(of each competition level) of each round (using DGT board) and live (real-time) games are also available in the exhibition area. 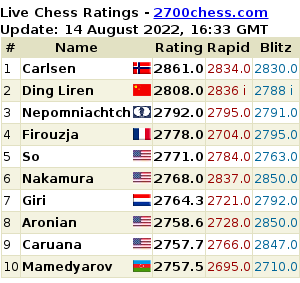 Chess Game Comments: Comments on the 1st board of each competition level are available. Standard Tournament: Venue is decorated up to a standard chess tournament. Only standard equipment is used in the game. Any communication devices are not allowed in the venue. All chess comments will be done at the exhibition area. *We only provide water and cocoa-flavoured dairy drink. You may want to bring your own soft drinks or juices. 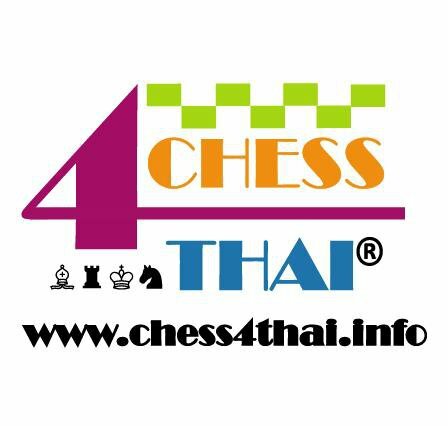 Security Notice: For security reason, only authorized person (chess players, authorized parents, organizers and authorized visitors) will be allowed in the tournament. For a very young chess player, we recommend that they should not leave the venue without their parent. *This schedule may change without prior notice.